A hoist is a tool designed to lift or lower a load. Hoists make transporting loads of all sizes simple and safe. They are often classified by load capacity and source of power. They typically use either wire rope or chain to lift materials. 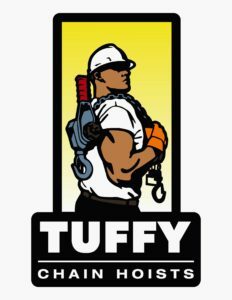 To determine what type and size hoist is best for the job, please contact our sales team for a quick quote, at tuffysales@tuffyweb.com.